Are you looking for a way to be happier? How do you start your morning? Do you hit he snooze button? Scroll social media? Watch or read the news? Do you then wonder why your day starts in a negative way? Imagine waking up full of energy, confidence and positivity for the day. How would that feel? Discover how to make this a reality within the first 30 minutes of your day. Ready to start your day well? 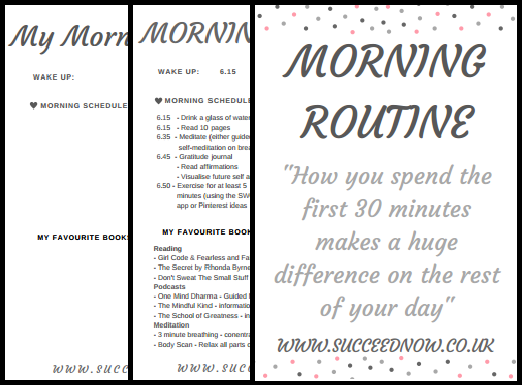 Start using it today to add new habits into your morning routine to improve your mindset.